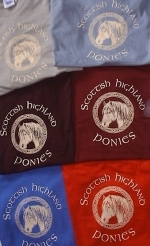 Scottish Highland Ponies T-shirts now available! Join SHPSNA today--new members receive a free T-shirt. All SHPSNA members receive a 10% discount on T-shirt orders. SHPSNA logo on a quality 100% cotton T-shirt. S or M in red and royal blue $15.00 each. add $9.00 shipping and handling. Please inquire for shipping costs to other areas. To order by email: SHPSNAsecretary@highlandponies.com. 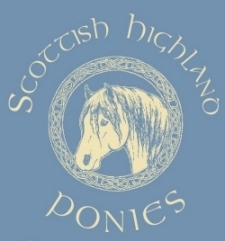 Thank you for supporting Highland ponies in North America!